We present a range of numerical tests comparing the dynamical cores of the operationally used numerical weather prediction (NWP) model COSMO and the university code Dune, focusing on their efficiency and accuracy for solving benchmark test cases for NWP. The dynamical core of COSMO is based on a finite difference method whereas the Dune core is based on a Discontinuous Galerkin method. Both dynamical cores are briefly introduced stating possible advantages and pitfalls of the different approaches. Their efficiency and effectiveness is investigated, based on three numerical test cases, which require solving the compressible viscous and non-viscous Euler equations. The test cases include the density current (Straka et al. 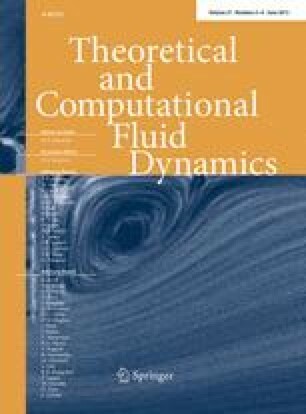 in Int J Numer Methods Fluids 17:1–22, 1993), the inertia gravity (Skamarock and Klemp in Mon Weather Rev 122:2623–2630, 1994), and the linear hydrostatic mountain waves of (Bonaventura in J Comput Phys 158:186–213, 2000).